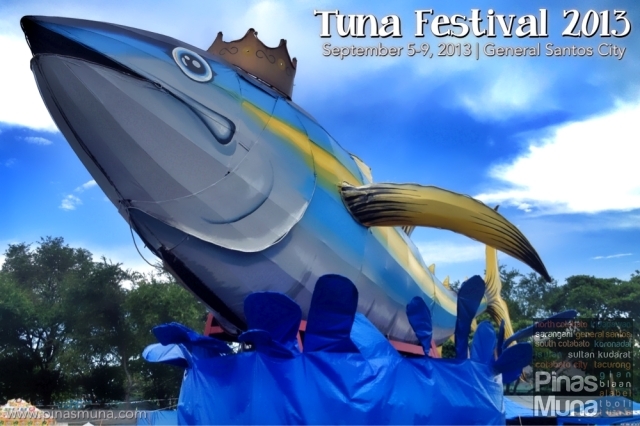 General Santos City, the country's tuna capital, will hold the annual Tuna Festival on September 5-9, 2013. Now on its 15th year, the Tuna Festival will once again place the city into center stage as it number one product, the world class tuna, is showcased through parades and concerts. For the complete list of festival activities, check out GenSan News Online Mag. 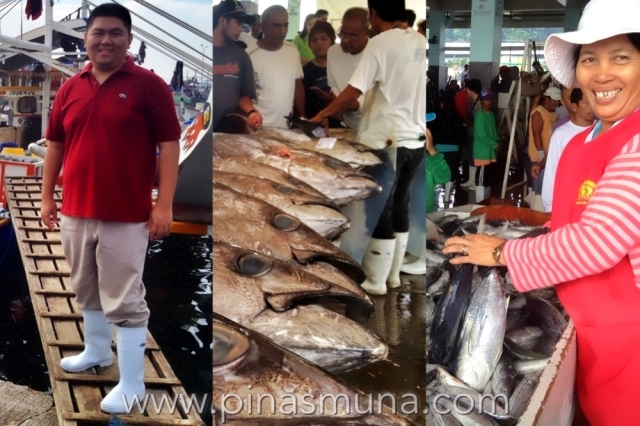 To better appreciate why General Santos City is considered the tuna capital of the Philippines, we recommend that you visit the General Santos City Fishport. It is the country's biggest and most modern tuna trading and processing facility. Several tuna processing and canning companies operate in the fishport catering to both local and international markets. 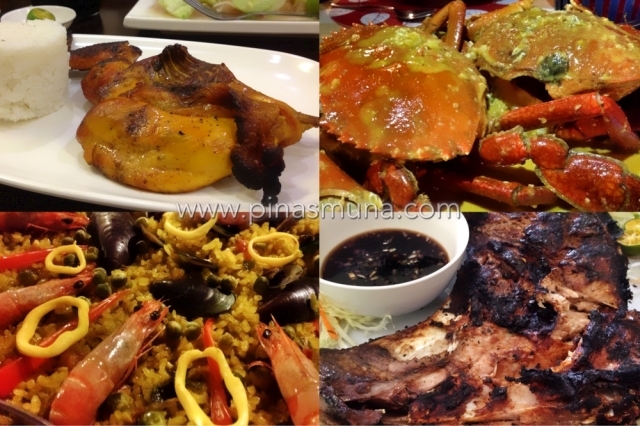 There are several homegrown restaurants in Gensan offering Filipino and international cuisine. Our top recommendations are Nadies Chicken House serving its delectable grilled chicken, Red Trellis Seafood Garden offering a wide array of fresh seafood delicacies, Cafe Mita and its all-day comfort food, and C Bistro with its succulent ribs and barbecues. Hotel San Marco is located at the heart of the city and is near the shopping and dining establishments such as SM City Gensan and Veranza Mall. 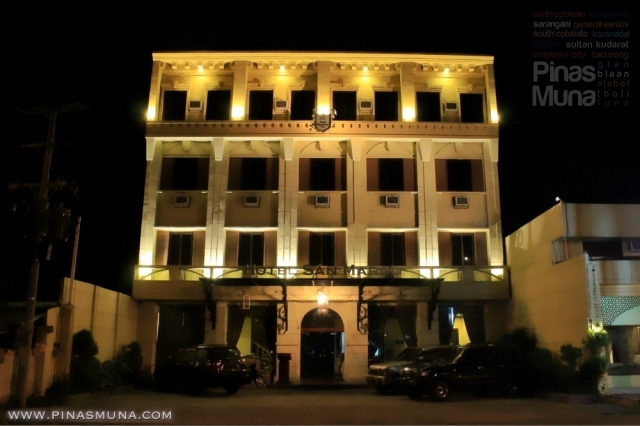 Check out our review of Hotel San Marco in General Santos City. Book now your accommodation by calling +63(83) 301-1818/ Mobile: +63.922.8217332 (Sun) / +63.947.8932237 (Smart) / +63.917.7065347 (Globe), or send them an email at hotel_sanmarco@yahoo.com. Gensan's pride, tuna, nothing else! 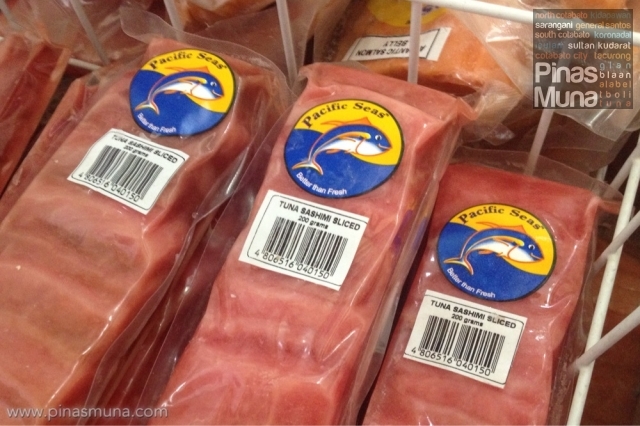 My Angel's Seafood, formerly Pacific Seas Seafood Market, is your best source of frozen tuna. Their products include sliced tuna sashimi, tuna jaw, tuna belly and fresh cut quality tuna fillet. They have a branch at the National Highway and they will gladly pack your purchased products ready for check-in for your day of flight. You can contact them at (083) 301-5678 and look for Mr. Marz Bendol. Several airlines connect major Philippine cities to General Santos City. 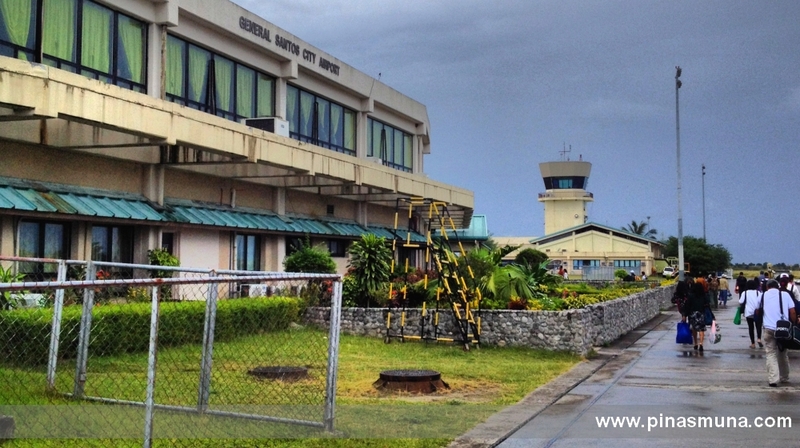 From the airport, the most convenient way to get to downtown is by taking a taxi at the airport. Standard fixed rate is P350.00. By land, several bus lines connect General Santos to various cities in Mindanao such as Davao City and Cotabato City. There are also vans servicing the same routes.